Ready to take the next step? Plan your visit. Boise State’s TRIO programs, housed in the College of Education, along with Borah and Capital high school programs, helped collect 355 pounds of food and personal care items and $600 in financial donations during a two-week drive to benefit the Campus Food Pantry at Boise State. TRIO students and faculty and staff contributed. 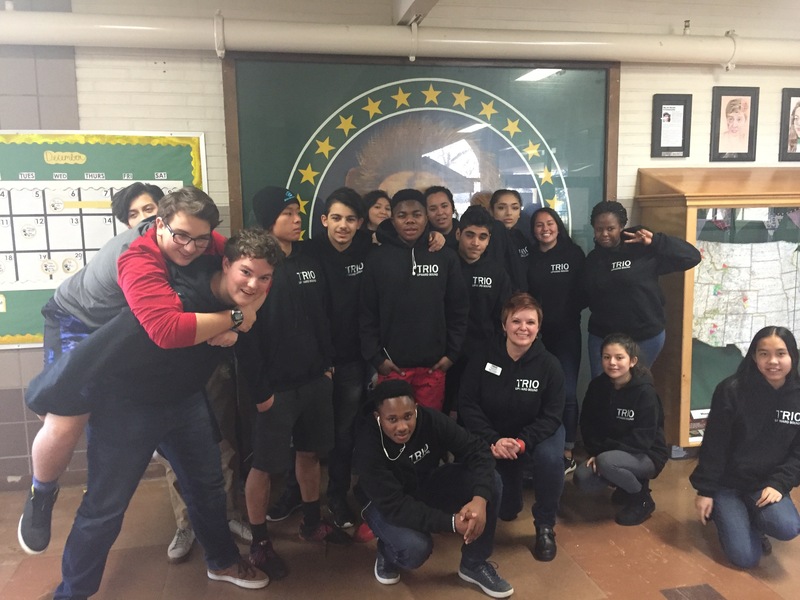 TRIO programs nationwide support traditionally under-served students in their quest to obtain a high school diploma and continue on to a post-secondary education. The last Saturday in February is National TRIO Day, a day recognized by Congress, in which students served by these programs give back to their community. The Campus Food Pantry is located in the Office of the Dean of Students in the Campus School Building, Suite 120. In partnership with ASBSU, the pantry aims to provide food assistance to Boise State students facing food insecurity, offering nourishing meal and snack options, as well as nutritional guidance and education. The pantry also is stocked with hygiene items and school supplies. Since opening in January 2018, the pantry has served 180 individual students and logged more than 500 visits. This spring, two additional satellite locations opened in the College of Innovation and Design (Albertsons Library, second floor) and the Gender Equity Center in the Student Union Building.